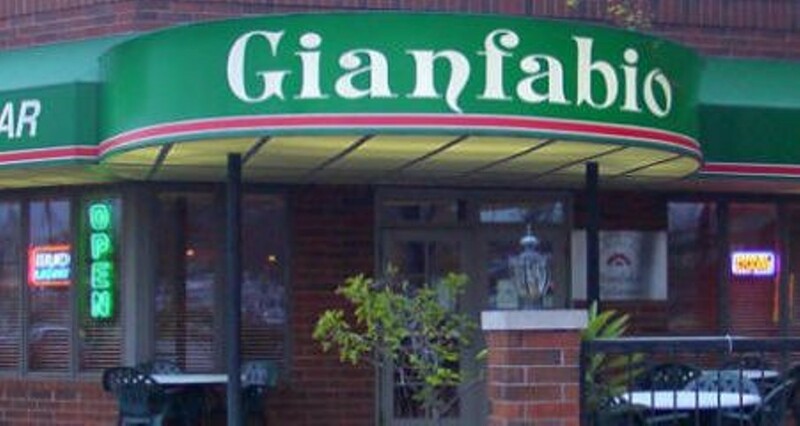 Right off Olive Boulevard near Chesterfield Parkway, Gianfabio Italian Restaurant serves up typical and not-so-typical pastas, pizzas and entrées in west county. In the casual atmosphere, start with appetizers such as toasted ravioli, escargot or crab-stuffed mushrooms. Pasta dishes include spaghetti and meatballs, cannelloni stuffed with veal and covered in marinara, cream sauce and provolone and Cajun farfalle in a spicy cream sauce with shrimp and sun-dried tomatoes. Pizzas, hand-tossed and made small enough for one person, come covered in the sauce of the diner's choice, including tomato sauce, a spicy brown sauce or olive oil and cheese, and topped with a choice of meats and veggies. Entrées include an eight-ounce filet mignon seasoned with fresh peppercorn and covered with a gorgonzola-cognac cream sauce, and a rack of lamb roasted with herbs and a wine sauce. Lunch options are available, as well as a frequent diner program where repeat customers can earn points that can be used as credit in the restaurant.